In the market for a new mattress? Are you a fan of memory foam? Well today could be your lucky day. Enter our mattress giveaway today for your chance to win a brand new Amerisleep Liberty mattress! We’re giving away one (1) brand new Amerisleep Liberty mattress. The Amerisleep Liberty is a 12″ advanced memory foam mattress. One grand prize winner will be randomly selected and win one (1) new Amerisleep Liberty mattress in their preferred size (Twin, Twin XL, Full, Queen, King; excludes Split King). Duration: The giveaway starts today, 05/26/17 and ends 06/10/17 at 11:59 PM PST. Grand Prize: One (1) grand prize winner will be randomly chosen based on the pool of entries. 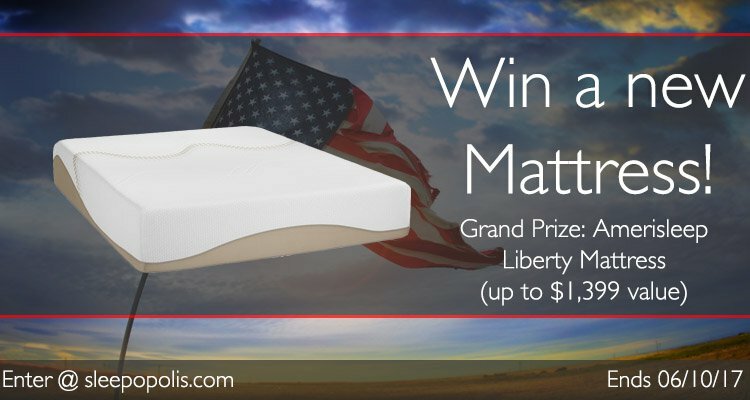 The winner will win one (1) Amerisleep Liberty mattress in their preferred size. Eligibility: US residents only. Must reside within the continental US. Must be 18 or older to enter. Sponsor: Giveaway prize is provided by Amerisleep. Amerisleep will mail all prizes directly to the winner. Giveaway sponsors may contact you via email. If you do not wish to receive these email communications you may opt out via the unsubscribe link included within those email communications. The giveaways featured on Sleepopolis would not be possible without the generosity of our amazing sponsors. A big thank you goes out to Amerisleep for so kindly donating a mattress for this giveaway! I would love to win a new mattress. Thanks for the opportunity Sleepopolis~! Best of luck to you in the giveaway. Out with the old, in with the new – better sleep awaits. I’M 75 YEARS OLD AND NEED A NEW MATTRESS !! MY SAGS IN THE MIDDLE ! HARD TO GET OUT OF BED ! IT’S LIKE TRYING TO CLIMB A MOUNTAIN !! Looks so comfy I’m getting sleepy! Wow, thank you for the generous chance to win! Looking for a mattress since I will need one for my son!!! Hope and pray. I so need this right now! 8 months pregnant sleeping on a futon next to my husband and a 1-yr-old is NOT working……my 1-yr-old baby girl does NOT like her playpen so we co-sleep…..
Would love a new bed, my bed is 25 yrs old! I really need one. It would be a great help. To finally have a wonderfully restful and refreshing sleep would be heaven ! to all of the universe I really need a mattress! Your mattress would be a prayer answered for me with my health issues. WOULD REALLY LIKE TO WIN A NEW MATTRESS. I hate sleeping on a bad mattress. My mattress is really old. I retweeted several times and it shows this on twitter, but not counting this on gleem. The old mattress is wearing out. Out with the old, and in with the new Amerisleep Liberty mattress! I’d like to win this mattress, cause I might get a better sleep and if I will on the 10th of June, cause hats when my 61 birthday. Thanks for the chance to win this awesome mattress. I’m a side-sleeper and like that it has the cooling memory foam top layer. My mattress is 12 years old. It’s getting squeaky and soggy. June 10th is my 25th anniversary, would be a nice to win a new mattress. I have trouble sleeping on my old mattress now that I have back & hip issues. It’s an old firm that is no longer comfortable & this one sounds perfect. I need to win a new bed. It would make me very happy to win such a good, new mattress. I’d love to have a new Ameriasleep Liberty mattress. My old memory foam mattress is long overdue for replacement. It sags in the middle making it hard to roll out if I happen to end up in the middle of the bed. Is it good for the back my back is verry bad. Im a disabled veteran living on a modest income, I live with constant pain and my mattress is getting to the end of her life span. It would be so nice to have a wonderful new well made mattress to help me attain the much needed sleep to achieve the best me everyday I can be. Thank you for serving your country. We would love a new mattress. With 5 kids already and a possible 6th on the way, buying mattresses gets expensive fast which means 2nd hand mattresses that are 10 plus years old for the kids. A new mattress means additional funds to upgrade kids! I bought a cheap mattress 17 years ago and it makes noise every time I move. I am entering that Amerisleep contest because I am sleeping on a mattress right now that sags in the center. I need a new mattress. Enjoyed reading your reviews. Really need another mattress due to no sleep because of hubby’s snoring! I am so uncomfortable on our old mattress that I wake up with knots all over my body. I heard that Amerisleep was the one to get! I hope I win! 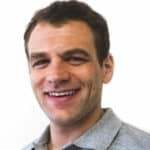 Hi there how i can participate in the giveaway to win the mattress?